After one or two weeks into January, many of us start to question how we can keep to our New Year’s resolution. The novelty quickly wears off and in no time at all we find ourselves opening a box of Christmas chocolates, making an excuse for going to the gym or pouring a glass of wine to enjoy whilst snuggling up on the sofa. So to help make sure you stay committed to achieving your goals, here we’ve listed some of our top tips for sticking to your New Year’s Resolutions. Rule number one is to make resolutions that you’re confident you’ll meet. Many make the mistake of setting themselves unattainable targets that they’ll never reach, inevitably resulting in failure. For example, if you’re aim is to lose weight, rather than ban yourself from having your favourite dessert ever again, try to only eat it once a month instead of once a week. This way you can still consume your beloved cheesecake (in moderation), and are therefore likely to stay committed to your objective. Another tip when setting your goal is to be as specific as you can. Rather than “exercise more”, perhaps challenge yourself to “go to the gym three times every week” or “complete 6 virtual challenges throughout the following year”. Having a concrete goal will give you something to realistically set your sights on and plan exactly how you’ll accomplish it. It’s absolutely essential that you break your goal down to smaller, more manageable chunks. Short-term goals are easier to keep to and each small achievement will help keep you motivated to accomplish the end goal. If your desired outcome after a year is to have lost fifty pounds, focus first on losing the initial five. We also recommend you make a note of your resolutions, the goals you’re striving to achieve and your motivations. It’ll allow you to keep a record of your progress and see how far you’ve come. A vital part of success and ensuring you maintain dedicated to meeting your resolution is to reward yourself once you’ve reached your smaller milestones. Not only are they a representation of your hard work, but they’re also an incentive to stay focused. However, this doesn’t mean tucking into a large bar of chocolate, instead celebrate with a fun activity or something that’ll benefit your resolution – perhaps a trip to the cinema with a friend, or purchase a new piece of gym gear. One of the most common reasons people give up their New Year’s resolution is because they don’t see any change. They want results overnight and when this doesn’t happen, they think ‘forget it, what’s the point?”. However, it’s important to remember that change isn’t a quick process. 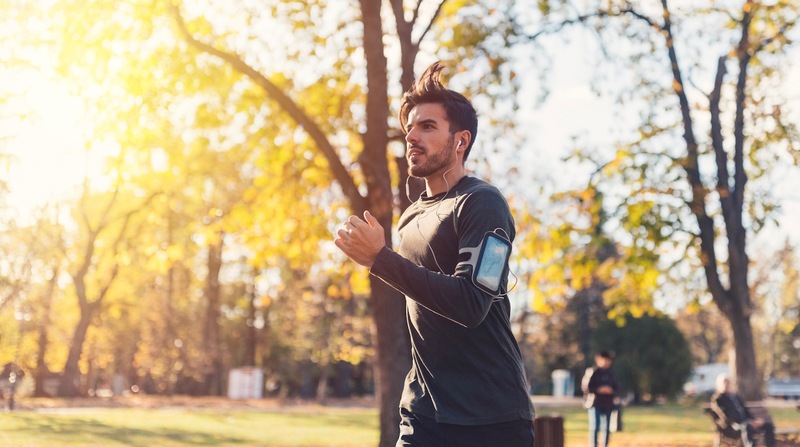 Prepare to play the long game and make sure you stick with it – don’t expect to be able to run a marathon next week if the furthest you’ve ever ran before is 2K. Speak to your family members, friends, colleagues or anyone else you know and ask if they’re willing to join in with your resolution. You’ll motivate each other throughout the tougher times and will probably stick to the challenge for longer as you won’t want to let your buddy down. If you can’t find anyone who’s happy to join in with you, don’t panic! Instead, just explain to a friend or family member exactly what it is you’re setting out to achieve and ask them to assist you along the way. Even if all they do is ask you how you’re getting on every few weeks or so, it’ll help you stay focused and even more determined to reach your aspirations. Although you’ll want to be trying your utmost to achieve your target, the road to success isn’t likely to be a straight one, so try not to stress too much or punish yourself if you have bad days/weeks. We live busy lives and sudden, spontaneous happenings are bound to occur. The occasional slip isn’t going to have a significant impact on whether you complete your resolution, just aim to get back on track when you can. Even though you’ll feel energised and enthusiastic on January 1st, there’s a good chance you’ll lose at least some of your interest a few weeks or months down the line. After walking past the chocolate aisle without grabbing a tub from the shelf for 2 entire months or dragging yourself out of bed at 6am every day to get to the gym, it’s completely normal for your motivation to slump. However, when you face these difficult moments, refer to the notes you made before beginning your resolution and think back to the reasons why you’re aiming to complete the goal in the first place. Once you’ve completed your goal, awesome – congratulations! But don’t stop there. Continue your good habits so that they become habitual and a routine part of your everyday lifestyle. If you’ve completed a fitness goal, look to take on a trickier challenge, or if you’ve managed to lose a specific number of pounds, try and maintain the same weight. Looking for a fun but challenging fitness challenge to tackle? Look no further than our awesome virtual challenges! Here at Race at your Race, we’re committed to helping people keep healthy and active, which is why we run a wide range of virtual challenges every month. They task you to run, walk, cycle or swim a specified distance throughout the duration of a month, with a prestigious medal and trendy compression top sent to you as a reward upon completion. Varying distances are available, so it’s the perfect challenge no matter your ability!